What should Baltimore police do in a when pursuing a suspect? This is the Baltimore City rule -- rarely followed - on the proper protocol for chasing a suspect. Failure to pursue may result in grave injury or death. 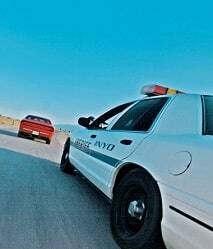 The Department recognizes it is better to allow a criminal to temporarily escape apprehension than to jeopardize the safety of citizens and its officers in a high speed pursuit. The City of Baltimore is a highly congested urban area which necessitates driving a motor vehicles in a safe manner. In order for a departmental vehicle to be considered operating in an EMERGENCY MODE, BOTH ROOF MOUNTED EMERGENCY LIGHTS AND ELECTRIC SIREN MUST BE ACTIVATED. . . . SLOW DOWN AT ALL INTERSECTIONS, ensure the intersection is safe to enter and then proceed cautiously. When crossing against any traffic control device, BRING YOUR VEHICLE TO A FULL STOP and ensure the intersection is safe to enter before proceeding. Ensure that your VEHICLE SPEED IS BOTH SAFE AND REASONABLE under the prevailing roadway and environmental conditions. Commanding officers and supervisors shall communicate the contents of this directive to their subordinates and ensure compliance. This directive is effective on the date of publication. As the late Rodney King could attest, When police get pumped up from a chase, the adrenaline rush has byproducts: did they need 137 shots in this case?